I know there will be regular posts like this over the next 20 or so weeks, I love shopping, some would say I have a problem, but over recent years I have improved, I have hardly added to my large bag/shoe collection(apart from the occasinal nappy bag). Instead now my shopping addiction has turned to my Babies, Grayson had everything he could, should I say I could wish for, Addison did not have so much, strangely I actually prefer buying little boy stuff to little girl stuff, crazy considering I am a lover of everything Pink. 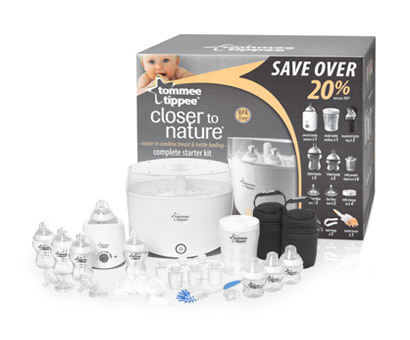 So already at 18 weeks pregnant my Wish List for Baby Sweetpea is a little large, there are the necessities of course, like this Tommee Tippee Starter Kit, as both our babies have over used their bottles, thankfully the very kind people at Tommee Tippee sent me this set last week ready for review and Baby Sweetpea’s arrival, it has everything we need, we will only have to add a couple of extra bottles. So instead that gives me a few extra pennies for some fun stuff. 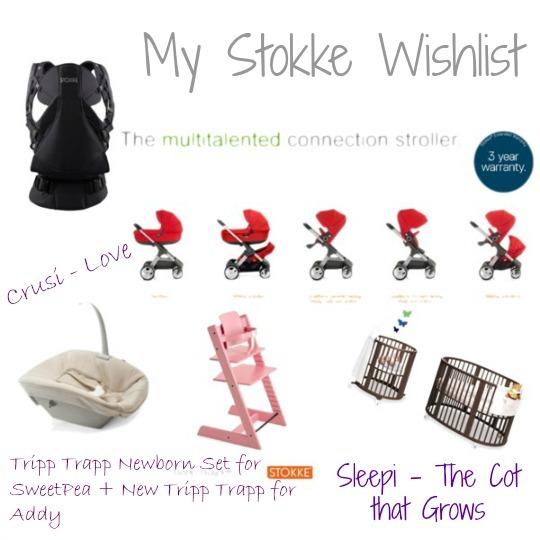 If you didn’t know already from our Stokke Love Post, I am a huge fan of all things Stokke, this Mood Board shows in my ideal, win the lottery life wish list. The only thing the hubby has 100% promised me is the Sleepi, as we both love the concept of the item. We of course will also need another Tripp Trapp so cross fingers we manage that too, so that Baby Sweetpea matches her siblings. I have also got my eye on a few outfits, girl and boy dependant on what we get told on the 8th. So as you can see my list is already growing, I am also highly considering the use of Re-Usable Nappies, so if you have brand suggestions please do let me know as I am a total novice. Check back for more Wish and Shopping lists ideal for a new baby.